Jon Catuccio of Stereolist.com just sent me these photos from this year's AXPONA show. 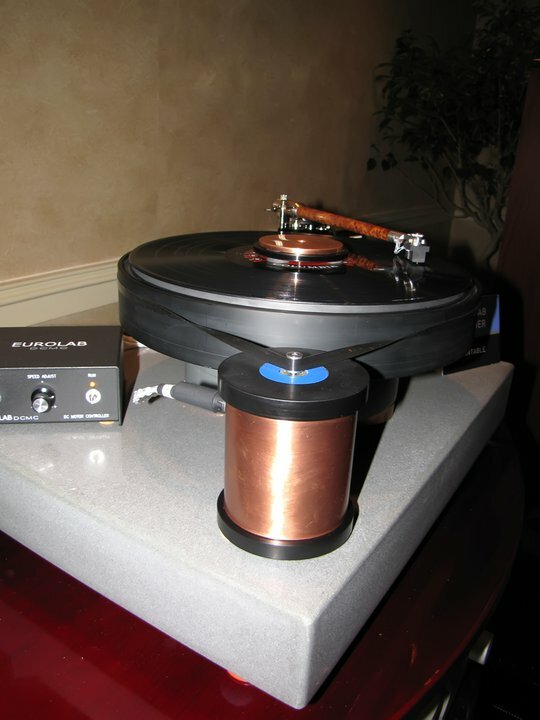 This is the Eurolab Premier turntable with either a Schroder or a Scheu Tacco tonearm. I didn't get a chance to hear this particular 'table in action, but nevertheless it's beautiful and deserves to be seen. 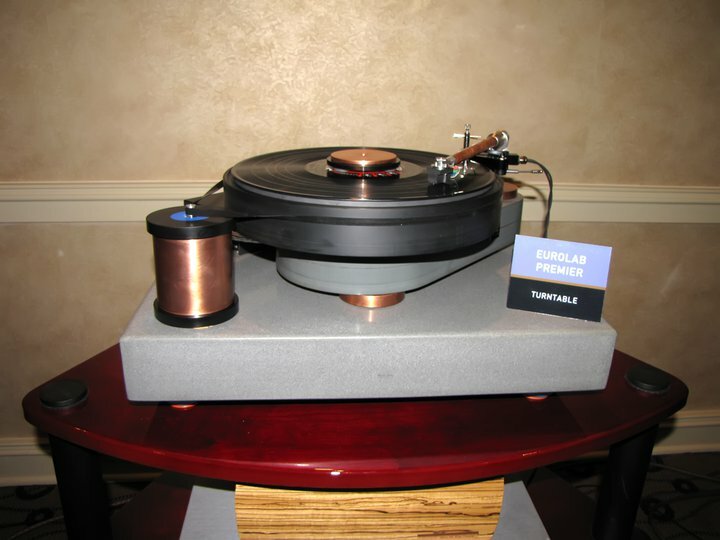 I remember first hearing about Eurolab several years ago when Michael Fremer reviewed it for Stereophile. Back then the Eurolab was a very minimalist open-architecture 'table that seemed to be little more than a platter, a bearing and an armboard. The Premier is a much more substantial-looking 'table, and I like the copper accents on the motor and the clamp. I do know something more about the Schroder tonearms, however. I had a chance to interview Frank Schroder a couple of years ago, and he offered more than his share of illuminating insights into the world of tonearm design. His tonearms are so good (along with Breuer, I think his are the finest in the world) that the waiting list for one is months, even years. If this is the Scheu Tacco tonearm, then Scheu is the company that offers that beautiful pink turntable I blogged about a few months ago. Someone let us know for sure! 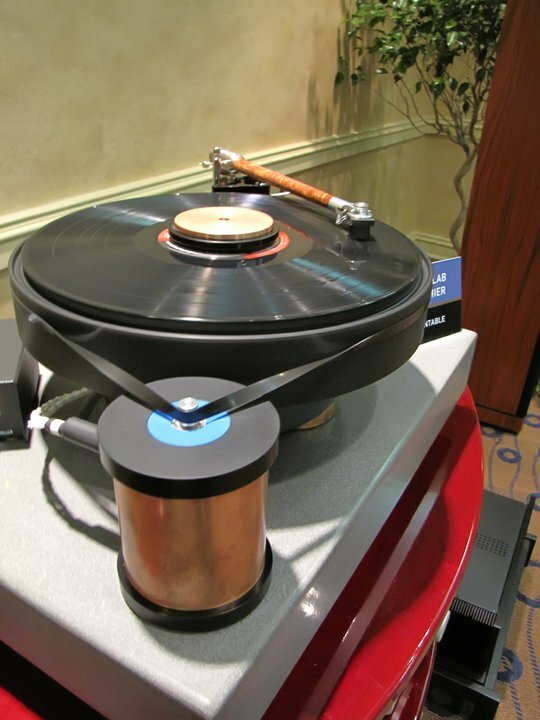 UPDATE: I've confirmed it's the Scheu Tacco tonearm.